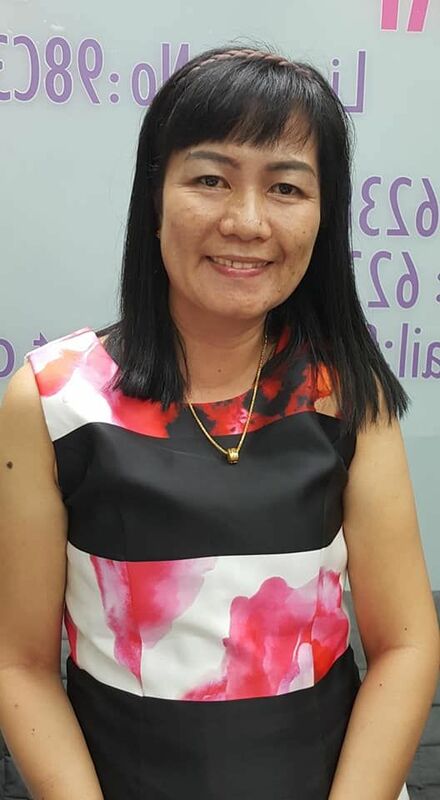 Lanie is married with three teenage children, high school graduate speaks adequate English and she is origin from Pangasinan (Northern Luzon). Lanie is a happy person, neat and polite. Marc'07 - March'07 > She started working with a Chinese family living in a flat. She was employed to looked after a stroked patient woman. Her duties were to assist her & attend to all her needs, care and accompany her all the times. She also does general housekeeping, marketing and cooking. Reason for leaving, finished contract. Other family member took over to care for grandma. Jul'07 - present > She was transferred and currently working for another Chinese family living in a 5-rooms flat. Duties mainly keeping the house clean, organized and tidy all the time, marketing and sometimes cooking for the family. Reason for transfer, they no longer require her services both party agreed to release each other. Therefore she needs to look for another employer. She can be interviewed by appointment , available to transfer by March onwards.